Pureology FULLFYL Shampoo & Conditioner (8 SAMPLE PACKS OF EACH) .35oz EACH! Concentrated Zerosulfate formula features the exclusive Antifade complex. For Dry Colour-treated hair. Removes dulling residues with maximum respect for the scarred, sensitized cuticle. 97 percent improved strength after only 1 use of shampoo. Trending at $27.32eBay determines this price through a machine learned model of the product's sale prices within the last 90 days. Featuring the exclusive Antifade complex. For Dry Colour-treated hair. Creates that "Cool Girl" look: Low-lather formula doesn't strip away natural oils, so hair won't end up too wispy, floaty or "squeaky clean. "., with no buildup or residue. Multi-weight proteins of soy, oat and wheat help strengthen, rebuild and repair, and Pureology's exclusive AntiFade Complex® protects color vibrancy. A final touch of our signature aromatherapy blend of ylang ylang, bergamot and patchouli scents the collection. 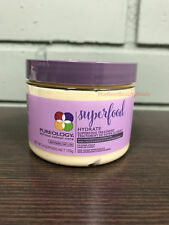 33.8 fl oz/ 1 L.
Pureology Hydrate Shampoo 8.5 oz. Protect your hair's color and radiance with Pureology Hydrate Shampoo, 2016's Total Beauty Award Winner. Leaves hair feeling soft and silky to the touch. Preserves and enhances color-treated hair. 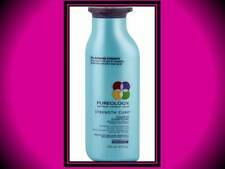 Pureology Fullfyl Shampoo restores hair. Pureology Perfect Platinum Shampoo and Conditioner Set for Dry Hair 250 ml/ 8.5 fl. Pureology Perfect Platinum 250 ml/ 8.5 fl. Pureology Perfect Platinum Conditioner 250 ml/ 8.5 fl. Pureology Hydrate Conditioner 33.8oz (1L). Hydrate while enhancing color brilliance with this peppermint-infused conditioner for parched hair. Exclusive AntiFade Complex protects color vibrancy. Works from the inside out to keep the color fresh and your hair detangled with renewed body and amazing shine. Reveal it with the Pureology Strength Cure gentle repair shampoo. By removing dull residue, hair is stronger, softer and shinier with maximum growth potential. Bath & Body. Always savings- Our prices are constantly examined to ensure you always get the best price. Unlike traditional volumizing systems that make hair bigger, Fullfyl creates the look and feel of more hair. Pureology Hydrate shampoo (10.1 oz) and Hydrate condition (8.5 oz), Serious Colour Care. You can actually feel it working. Leaves hair healthy and manageable with a dazzling shine. Multi-weight proteins of soy, oat and wheat help strengthen, rebuild and repair, and Pureology's exclusive AntiFade Complex® protects color vibrancy, and a final touch of our signature aromatherapy blend of ylang ylang, bergamot and patchouli scents the collection. NANO WORKS GOLD SHAMPOO CONDITION DUO. Give renewed energy to lackluster strands with a luxurious sulfate-free shampoo and conditioner for aging, color-treated hair. Strengthens and repairs while Golden Marula Oil provides hydration, protection and rejuvenation. A lavish concentrated hydrating daily conditioner. Contains an exclusive AntiFade Complex that maximizes color retention. Delivers intense moisture without weighing hair down. Provides concentrated natural conditioning while reducing static. Replenishes parched hair with movement & manageability. Infused with a refreshing fragrance that awakens the senses. Hair appears suppler, sleeker & shiner in vibrant color. Perfect for dry color-treated hair. To strengthen strands, this bundle also boasts multi-weight proteins of soy, oat and wheat, as well as the exclusive AntiFadeComplex® for color retention. As you shampoo and condition, an aromatherapy blend of ylang ylang, bergamot and patchouli enhances the experience. We are very serious against false claims. Any attempts with intend to manipulate our system will result in appropriate repercussions. (excludes samples). NEW AND UNUSED, NO SEAL OR BOX ~. color treated hair. Pureology Strength Cure Cleansing Conditioner, 33.8 oz. 1 liter 33.8 oz. 10 - PUREOLOGY HYDRATE SHAMPOO SAMPLES. 35oz EACH = 3.5oz TOTAL. 10 - PUREOLOGY HYDRATE CONDITIONER SAMPLES. 35oz EACH = 3.5oz TOTAL. HYDRATE SHAMPOO & CONDITIONER. The signature aromatherapy blend is bergamot, citrus and cedarwood. These silicone- and sulfate-free products leaves hairy feeling beautiful and voluminous for 24 hours. 100% vegan. Hydrate Shampoo. Hydrate Condition. Intensely hydrate without weighing hair down. Natural Plant Extracts. o Does not strip colour. The exclusiveAntiFadeComplex maximizes colour retention. o Luxurious fragrance for a multi-sensorial, spa-like experience. Removes dulling residues with maximum respect for the scarred, sensitized cuticle. (excludes samples). We are very serious against false claims. Any attempts with intend to manipulate our system will result in appropriate repercussions. Trending at $14.98eBay determines this price through a machine learned model of the product's sale prices within the last 90 days. Exclusive blend of potent antioxidants and full spectrum UVA/UVB sunscreens. Free of harsh colour-stripping sulfates and salts. Strengthens and repairs hair from within. Can I modify or cancel my order?. 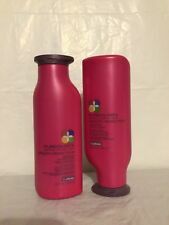 Pureology Hydrate Shampoo and Conditioner Duo/Set 33.8oz (Liter Size) 1 each. Hydrate Shampoo. Hydrate Condition. Intensely hydrate without weighing hair down. Awakens the senses with an energizing, refreshing fragrance. Oz/1L (PRO). Its AntiFadeComplex protects against color fade. Leaves your hair with a subtle shine and feeling silky soft. (excludes samples). We are very serious against false claims. Any attempts with intend to manipulate our system will result in appropriate repercussions. UV inhibitors help stop the sun's fading ways, shile potent antioxidants protect. Your hair never looked and felt so healthy. We are very serious against false claims. Any attempts with intend to manipulate our system will result in appropriate repercussions. Trending at $15.99eBay determines this price through a machine learned model of the product's sale prices within the last 90 days. Created with violet toning properties, the Strength Cure Best Blonde Shampoo and Conditioner Duo is the perfect pair for your best blonde yet. 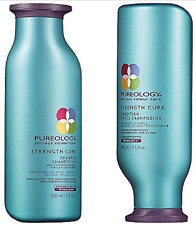 This is a Set ofPureology Strength Cure Best Blonde Shampoo and Conditioner 8.5 oz each. Rich, transforming formulas recapture what hair has lost and provides renewed softness, manageability and shine with extraordinary color protection. NANO WORKS GOLD SHAMPOO CONDITION DUO. In addition to a gentle and deeply nourishing formula, it features a blend of jasmine, vanille, rose & amber that'll make hair-washing a truly sensorial experience. Pureology Hydrate Shampoo and Conditioner Set for Dry Hair 250 ml/ 8.5 fl. oz. Pureology Hydrate Shampoo and Conditioner Set for Dry Hair 250 ml/ 8.5 fl. oz.. Condition is New. Shipped with USPS First Class Package. 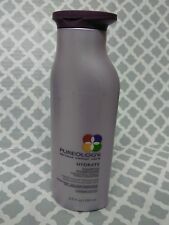 1 Bottle Pureology Hydrate Shampoo for Dry Color Treated Hair 250 ml/ 8.5 fl oz. 8.5 oz. Pureology Antifade Complex Hydrate Condition. Conditioner. 250ml. NEW. Pureology Hydrate Conditioner, for Colour-Treated Hair, 8.5 Oz FREE SHIPPING! !